Nicole and Kim came to know Farm Fresh Pet Foods in 2004 by working for the company. 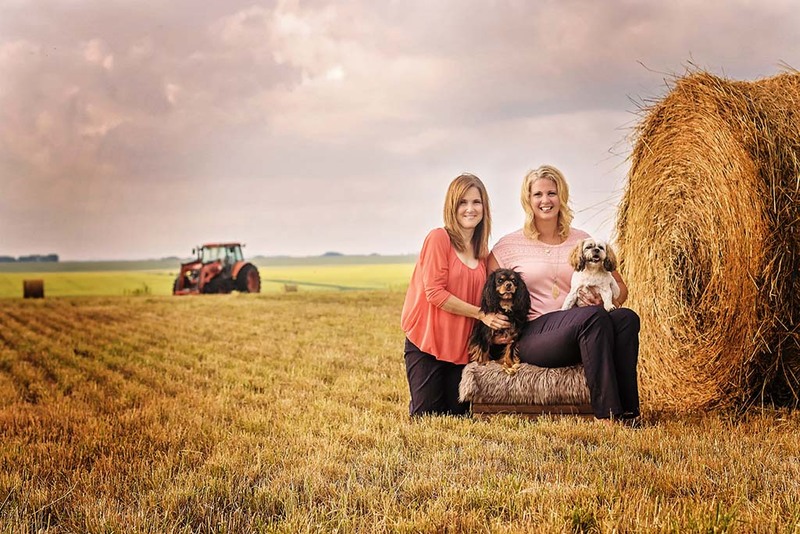 Farm Fresh was started by Saskatchewan ranchers who wanted to make sure their hardworking cattledogs were getting the best quality ingredients possible. Working with an animal nutritionist, they created a complete meal using only whole ingredients. It was important to them and still is to us that the ingredients come from as close to home as possible. We guarantee you know and can pronounce all of our ingredients and have likely seen many growing on Canadian farms. Farm Fresh Pet Foods is now dedicated to providing the tastiest and healthiest treats you can find. It is our promise to provide you a quality product with quality ingredients that we are proud to give our own dogs. And trust us Jessie and Ginny appreciate that every day – especially when we test new products!